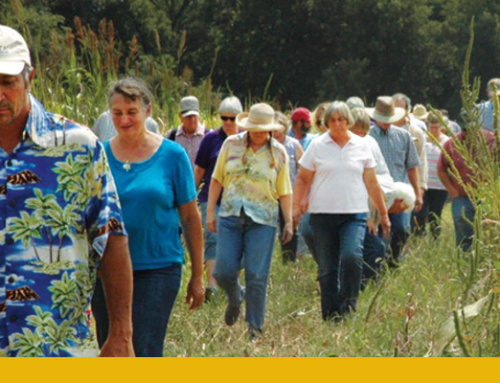 To RSVP for one of the five regional pasture walks, click here! A typical Kansas pasture on a typical Kansas farm or ranch is a highly complex, species-rich ecosystem that can either be beneficial or detrimental to the producer. Differentiating between the two can be tricky, often involving experimentation as much as experience. Knowing what to look for in a pasture, healthy or otherwise, and being able to better manage that pasture is the focus of five upcoming pasture walks scattered strategically around the state. Look and Learn Pasture Walks, sponsored in part by Amazing Grazing III, a collaboration between the Kansas Farmers Union and the Kansas Graziers Association, will host the walks in June and July under the facilitation of Dr. Dale Kirkham, retired range management specialist, the USDA’s Natural Resources Conservation Service, and local NRCS range specialists. The nature of a pasture walk is meant to be comparative rather than competitive, an assessment rather than an exhibition. 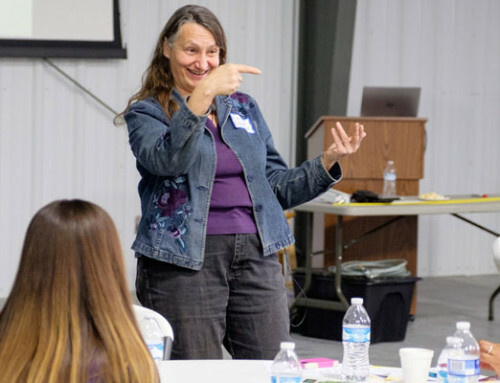 Pastures are chosen for their environmental and ecological components that can have direct bearing on management practices and financial success, or failure, Harmoney said. 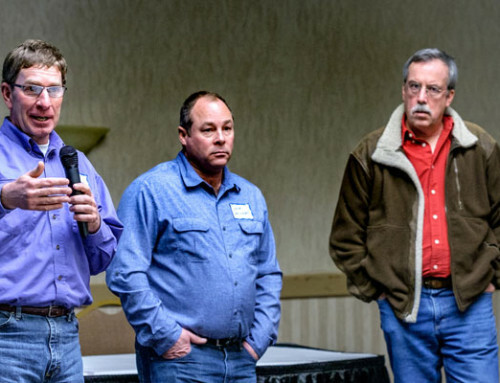 In addition to Harmoney, range specialists include Doug Spencer, NRCS rangeland management specialist, Marion; David Kraft, Diamond K Cattle Co., Gridley; Dale Kirkham, Eureka; Dwayne Rice, NRCS rangeland management specialist, Lincoln; and Dusty Schwandt, NRCS soil conservationist, Marysville. There is no charge for these walks, but registration is encouraged. RSVPs can be made online here. Contact Mary Howell with questions: kfu.mary@gmail.com or 785.562.8726. Tuesday, June 23, 2 p.m. Southeast KS Pasture Walk, Garnett area at Tim Benton’s. Tour will begin on 1000 Rd. approximately two miles east of U.S. 169 at Welda, or 1/2 mile west of U.S. 59 on 1000 Rd. Wednesday, June 24, 2 p.m. Northeast KS Pasture Walk, at the KSU Stocker Unit, 4330 Marlatt Ave, Manhattan. Driving northwest of Manhattan on Seth Childs Road, turn west onto Marlatt Avenue, travel slightly more than one mile and drive through the big KSU Stocker Unit gates. Follow the road. Thursday, June 25, 2 p.m. West Central Pasture Walk at HB Ranch, located four miles south of Cedar Bluff Reservoir (Trego County) on Highway 147. Tuesday, July 7, 9 a.m. South Central KS Pasture Walk, Marion, at David Rziha’s. Participants will meet on the south side of the Tampa Baseball Field, Tampa. Wednesday, July 8, 9 a.m. North Central KS Pasture Walk, Beloit at Calvin Adams’. From Barnard, drive 1.8 miles east on Highway 284, turn left onto N. 270th (road name will change at county line to 360th), drive 1.7 miles north to Calvin’s place at 283 360th Rd., Beloit. Note: Highway 18 west of I-35 is closed because of a bridge out. For more information on upcoming pasture walks and other workshops sponsored by Amazing Grazing, call Mary Howell at 785-562-8726 or visit Amazing Grazing at AmazingGrazingKansas.com. 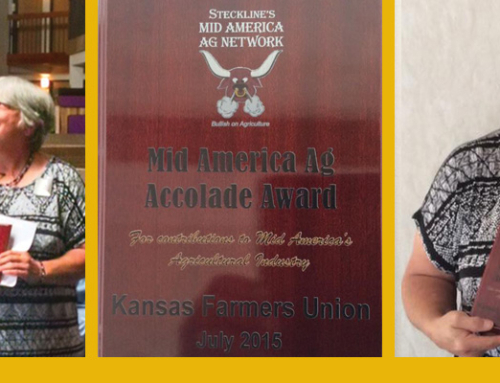 Amazing Grazing is a collaboration of the Kansas Farmers Union and the Kansas Graziers Association. Funding for this project was provided by the North Central Extension Risk Management Education Center and USDA National Institute of Food and Agriculture under Award Number 2012-49200-20032. Project partners include the Kansas Alliance for Wetlands & Streams, Kansas Grazing Lands Coalition, K-State Research and Extension, Farm Credit Associations of Kansas, Kansas Center for Sustainable Agriculture and Alternative Crops, and NRCS-Kansas.